U.S. President Donald Trump is threatening to slap tariffs on another USD200 billion of Chinese imports as trade tensions reach new heights. The tariffs, which Trump wants set at a 10% rate, would be the latest round of punitive measures in an escalating dispute over the large trade imbalance between the two countries. Trump added: “These tariffs will go into effect if China refuses to change its practices, and also if it insists on going forward with the new tariffs that it has recently announced.” Trump recently ordered tariffs on USD50 billion in Chinese goods in retaliation for what the U.S. said is intellectual properly theft. The tariffs were quickly matched by China on U.S. exports. The tariffs announced by the U.S. and China are set to become effective on July 6. U.S. Secretary of State Mike Pompeo has told a gathering at the Detroit Economic Club that China is engaging in “predatory economics 101” and an “unprecedented level of larceny” of intellectual property. Pompeo said China’s recent claims of “openness and globalization” are “a joke” and that China is a “predatory economic government” that is “long overdue in being tackled”. However, analysts say that focussing exclusively on the trade imbalance distorts the overall picture by failing to account for important benefits favoring the U.S. in the relationship. Thanks to the huge investment and profits that U.S. companies collect in China, the U.S. has a decent surplus in its combined trade and investment relationship. The U.S. ran a trade deficit of USD500 billion against the rest of the world in 2017, but once the overseas sales of U.S. multinationals is taken in account, the U.S. holds a surplus of USD900 billion, according to research by Deutsche Bank based on data provided by the U.S. Bureau of Economic Analysis. The bilateral trade balance may be misleading because it does not capture the sales of goods and services by foreign firms’ local subsidiaries. Combining trade and foreign direct investment (FDI), the U.S. actually ran a surplus against China. For example, Boeing earned about 12.8% of its 2017 revenues from China. 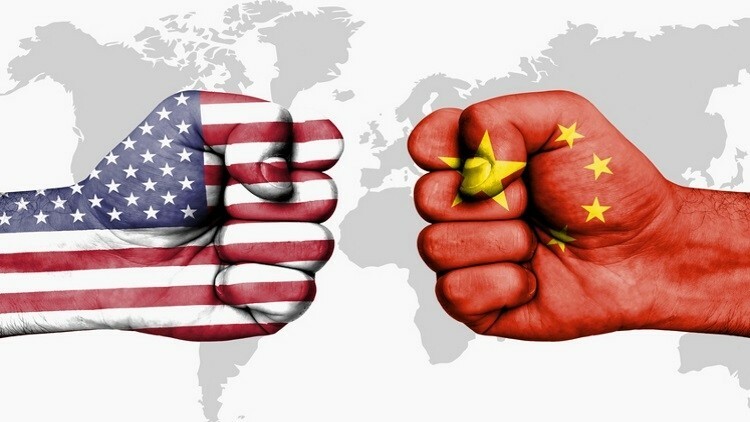 Meanwhile, Chinese companies in the U.S. are transferring more of their profits back home as tensions between Washington and Beijing escalate, according to a recent survey by the China General Chamber of Commerce – USA. For example, 75% of the business association’s members – mostly Chinese companies including Fosun International, PetroChina and ZTE – said they reinvest all or “a majority” of their profits in the U.S., down from 87% in the 2017 poll, while 22% said this year that all or most of their profits go back to China, up from 9% in 2017. Many of CGCC-USA’s approximately 1,500 members, particularly those looking to acquire U.S. technology, are facing new hurdles and the confidence of Chinese companies to invest in the U.S. is dropping. Criticism is also mounting in the U.S. itself. Commerce Secretary Wilbur Ross was slammed by Senators last week for pulling the U.S. into a trade war that they said could spiral out of control and hurt Americans, as he tried to persuade them that Beijing had to be put under more pressure.“Mister Secretary, as you consider these tariffs, know that you are taxing American families,” said Utah Senator Orrin Hatch, Chairman of the Senate Finance Committee. “You are putting American jobs at risk, and you are destroying markets, both foreign and domestic, for American businesses of all types, sorts and sizes,” he added. On the ZTE case, several Republican Members of Congress said they and U.S. President Donald Trump made progress toward a compromise that would let the company stay in business while addressing lawmakers’ national security concerns – but no agreement has yet been found. Senators want stronger penalties for the company, which they view as a security threat to the U.S., while Trump seeks to keep ZTE alive as a bargaining chip in the wider trade war with China. ZTE shares have lost about half their value and remain not far off a two-year low. The Senate Defence Bill would require that any deal with ZTE be accompanied by a certification that it hasn’t violated U.S. law for the last year – a standard critics say it can’t meet. The impending trade war also has an impact on the Chinese currency. The yuan lost 2% against the U.S. dollar in the past week.“The worry of a trade war is to blame for the drop of the yuan. The U.S. has threatened to impose tariffs on Chinese exports, which has led to worries about the outlook for the currency. This has led to selling pressure in the last week,” said Ben Kwong Man-bun, Director of KGI Asia. China imported some USD140 billion worth of U.S. products last year but exported USD400 billion of goods to America, giving it limited capacity to match Washington in punitive tariffs. Wang Yong, Professor of International Relations at Peking University, said if the dispute escalated, China could levy additional and hefty tariffs on key U.S. products, launch antitrust investigations and exclude U.S. companies from any new measures to open up the market. Rising nationalism in China could also hit sales of U.S. products in the country. But the Chinese government said it has no plan to target U.S. firms in China in response to Washington’s trade threats because it would run counter to Beijing’s goal of attracting foreign investment. As a result of the impending trade war, the benchmark Shanghai Composite Index is now down 19% from its January high, and on the threshold where stocks enter a bear market. Chinese stocks lost about USD514 billion in market value last week. European firms, meanwhile, are worried that tariffs could disrupt global supply chains and production, possibly hurting market sentiment, according to Mats Harborn, President of the EU Chamber of Commerce in China. Meanwhile, EU Commission Vice President Jyrki Katainen met in Beijing with Chinese Vice Premier Liu He on June 25 to discuss the U.S. actions and EU-China trade relations. President Xi Jinping pledged to continue to broaden market access and expand imports amid the country’s efforts to pursue a higher quality of openness. 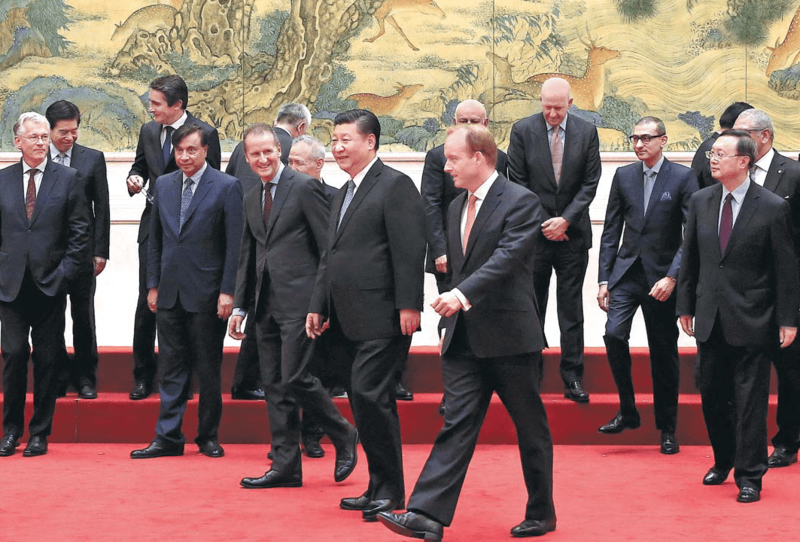 Xi made the remark while meeting with global business leaders gathering to attend a roundtable meeting to discuss openness and win-win cooperation at the Diaoyutai State Guesthouse in Beijing to mark the 40th anniversary of China’s reform and opening-up. Foreign capital has played an important and positive role in the process of reform and opening-up, Xi said, adding that China’s door will not close, but open wider and wider. China will continue to ease restrictions on market access, create a more attractive environment for investment, take more measures to protect intellectual property, and establish an easier and more orderly environment for domestic and foreign investors, Xi said. U.S. business delegates at the Global CEO Council included David Abney of UPS, Pfizer’s Albert Bourla, Arnold Donald from Carnival, Cargill’s David MacLennan, Hamid Moghadam of Prologis, Thomas Pritzker of Hyatt and David Soloman from Goldman Sachs. European executives included Patrice Caine from Thales, Alstom’s Henri Poupart-Lafarge, Jean-Pascal Tricoire of Schneider Electric, ABB’s Ulrich Spiesshofer, Rajeev Suri from Nokia, Herbert Diess of Volkswagen, Dieter Zetsche of Daimler, Frans van Houten of Philips, and Lakshmi Mittal of ArcelorMittal. From the Chinese side, Vice Premier Liu He, Foreign Minister Wang Yi and Chairman of the National Development and Reform Commission He Lifeng also participated. The Global CEO Council was set up in 2013 by the Chinese People’s Association for Friendship with Foreign Countries to improve the government’s ties with multinationals. President Xi Jinping said the global economy still lacks driving forces and trade protectionism has risen. The international community is a global village, and countries should not engage in zero-sum games, he said. The President said international rules should be jointly written by all countries, and the fruits of development should be shared by all. In his speech to the business leaders, Xi also highlighted the importance of innovation-driven and green development. Meanwhile, China is taking further measures to facilitate imports. Effective on July 1, the average tariff rate for clothing, shoes and hats, kitchenware, and sports and fitness supplies will be cut from 15.9% to 7.1%, and that for home appliances such as washing machines and refrigerators from 20.5% to 8%. The tariff rates for other products including aquatic products, processed food, detergents, cosmetics, and some medicine will also be cut substantially. Import taxes on vehicles and auto parts will be cut sharply on the same day to upgrade the auto industry. “Our initiative to boost imports demonstrates China’s commitment to a new round of high-standard opening up, to economic restructuring, and to economic transformation and high-quality development,” Premier Li Keqiang said. More than 8,000 types of imported goods now enjoy duty-free access to the Chinese market, based on free trade agreements with 23 countries and regions. Analysts believe the intensive pro-import measures will help China meet increasing domestic demand, achieve balanced trade, and share development dividends with the rest of the world. The threshold at which people pay personal income tax is expected to be lifted to CNY5,000 a month from the current CNY3,500, according to a draft amendment to the Individual Income Tax Law, as the National People’s Congress (NPC) – China’s legislature – is revising the personal income tax code in a sweeping overhaul of the tax system. Specific personal income tax changes aim to reduce taxpayers’ burdens and boost consumption. The draft was submitted to the NPC Standing Committee’s bimonthly session for its first discussion on June 26. A draft revision usually receives three readings before adoption. According to the draft amendment, the previous method of taxing monthly income will be replaced with a new calculation that focuses on taxing annual income. “The new method will be fairer and more reasonable for those whose monthly salary vary,” said Zhang Bin, an expert from the National Academy of Economic Strategy of the Chinese Academy of Social Sciences. 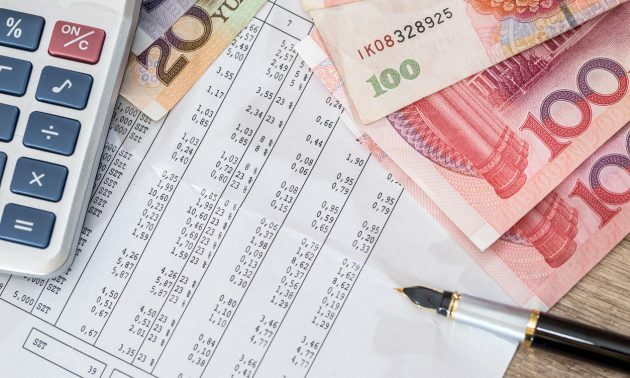 If the revisions are adopted, those whose monthly salary ranges from CNY5,000 to CNY20,000 will see their tax cut by more than 50% and those whose monthly salary ranges from CNY20,000 to CNY80,000 will see their tax cut by 10% to 50%. The amendment defines resident individuals and non-resident individuals as two types of taxpayers. In addition, the length of time used to distinguish between the two groups will be adjusted to 183 days from the previous 365 days. The move is expected to increase residents’ income and enhance consumption power because it reduces the tax burden for individual taxpayers, especially people of low to medium income, Finance Minister Liu Kun wrote in the draft. The revision is the biggest tax overhaul in over two decades. China’s income tax rates for individuals, comprising seven brackets with rates ranging from 3% to 45% of income, are expected to be adjusted. For the first time, items deductible for personal tax will include such expenses as the cost of children’s education, medical fees for major illnesses, interest on housing loans, and housing rent. The government will set specific rates for tax deductions in each category once the draft amendment is approved by the NPC Standing Committee. For the first time, taxation will cover four income categories – salaries, remuneration for personal services, authors’ remuneration and royalties. Yan Yuejin, Research Director at E-house China’s R&D Institute, said deductible real estate items are expected to benefit a wide group of residents who either rent or hope to purchase a home. In 2017, China’s total tax revenue rose by 10.7% year-on-year to CNY14.4 trillion, and tax revenue from individuals went up by 18.6% year-on-year to CNY1.2 trillion, the China Daily reports. European companies operating in China delivered strong financial results last year, with 66% of such companies reporting higher sales in 2017 than 2016, according to the Business Confidence Survey 2018 by the European Union Chamber of Commerce in China, in cooperation with German consulting company Roland Berger. Companies in the medical devices, pharmaceuticals and automotive sectors saw particularly robust sales. The survey showed that in 2017, European businesses reported their highest increase in revenue since 2013. Growth in consumer spending was one contributing factor, as many European businesses are still benefiting from their technological advantages in high-quality goods and services, thanks to surging demand from China’s middle-income earners. About 61% of respondents reported for the first time that domestic firms are already equally or more innovative compared to their European counterparts. The report said the trend is driven by the country’s growing spending on research and development, especially in high-tech acquisitions in overseas markets. European Union-China Comprehensive Agreement on Investment would send a clear message that China is committed to creating a positive business environment for all, and would help give European investors the confidence to expand their operations, the China Daily reports. non-fossil energy in the country, Jean Jereissati, President for the group’s operations in the North Asia-Pacific region, said. AB InBev also plans to secure 100% of purchased electricity from renewable sources by 2025. The group currently operates 40 breweries in China. AB InBev has invested more than USD3 billion in China since 1995 and has 25,000 employees in the country. The Belgium-headquartered brewer announced the largest renewable energy program throughout China’s beer industry at its smart low-carbon brewery in Putian, Fujian province, earlier this month, after investing CNY105 million in the plant. When in operation, the brewery is set to become Putian’s largest distributed photovoltaic power station with a total installed capacity of more than 15 megawatts. All 150,000 square meters of the brewery’s surfaces are covered with solar panels, equal to 21 standard football pitches. After its scheduled grid connection at the end of this month, the program is expected to generate 15 million kilowatt/hours of electricity annually starting in 2019, supplying 18% of the Putian brewery’s power needs. It will then be able to power production of 360 million bottles of beer, or save 4,800 metric tons of standard coal. “Cutting back on fossil fuels is positive for both environment and business,” added Jereissati. The company is seeking long-term sustainable growth in areas including smart agriculture, water stewardship, circular packaging and climate action. In May, monthly sales volume increased nearly 100% year-on-year. Single-day sales of beer reached 1.3 million bottles on Tmall, Alibaba’s Group’s online marketplace, on May 17.